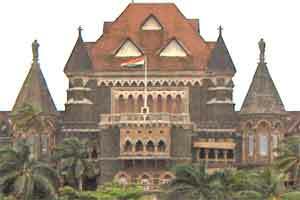 Mumbai: Taking a strong cognizance of the end of the 5 year tenure of the Maharashtra Medical Council ( MMC ) as well as the inability of the state government to notify fresh elections for the constitution of the same, the Bombay High Court was seen questioning the state government on when the elections shall be held. DNA reports that the division bench of justice SC Dharmadhikari and justice Dr Shalini Phansalkar Joshi has directed the government to file its reply by July 22, and give details about steps it is taking to conduct the election to appoint the new MMC members. The bench observed: “It’s been over a month that there is no council. Important matters like notifying medical courses in institutions are being delayed. This comes in response to a petition filed by the Maharashtra Branch of the Indian Medical Association, opposing the appointment of Dr Dilip Wange, an ayurvedic practitioner as the registrar of MMC. The petition also pointed out to the inability of the state in holding elections, despite repeated requests being made by medical practitioners and MMC itself. The petition had stated that the action of not conducting the elections as required under law is violative of the statutory rights of the members of the IMA. Further, it says that the government action is arbitrary, solely taken with a view to prohibit the smooth functioning of the MMC reports DNA.